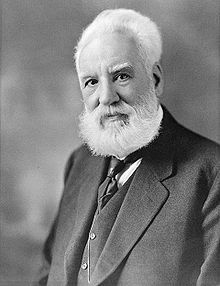 Alexander Graham Bell or Aleck as he was fondly called is known all over the world as the inventor of telephone. He was born in Edinburg, Scotland in March 3, 1847. He was the third child in the family. Unfortunately his parents lost two of their children earlier due to tuberculosis. To save their last child they had to leave England and therefore, moved to Canada in order to look for a cleaner environment. Graham studied at the school for five years but he was fond of reading books. He used to read at his grandfather’s library. His mother was deaf, but was an incredible musician and painter. This background had made a sort of different impact on Graham. Thus all along his life Graham was interested in teaching the deaf people. Because of his fondness to look out for various solutions, he invented “electric speech” for the welfare of the people. This “electric speech” is now known as telephone. News of this invention spread all over Europe and he set up the first telephone exchange. His interest in the science led to several different inventions in different fields. For example, at the age of 12 he invented a device which could clean or dehusk wheat. All the inventions of Alexander Graham Bell were the result of his great thoughts. The other inventions of Alexander Graham Bell included development of phonograph records on wax disc. He also invented iron breathing lung along with a device for locating icebergs at sea. He used to wonder to see kites in sky; this led to circulation of various different thoughts. He had also one thought whether it could lift a man as well. This great thought led to the invention of hydrofoil. This product was able to set a world record of flying over 70 miles per hour. His intelligence was being recognized all over the world, because of this he started the National Geographic Society and served as its president. During his stint as a professor at Boston University he started working on an invention which allowed the use of a few sound waves travelling over a single wire simultaneously to another destination. With the help of his assistant, Thomas Watson, they were able to complete the legendary telephone. But still they were not satisfied with its working. They fixed some minor and major faults of the telephone then. Without the basic model created by Graham the phone which we are using today couldn’t have born: According to Graham, all discoveries are the result of thought. The invention of telephone by Graham was received with great accolades’ all over the world. In an effort to bring constant improvement in its working Bell Telephone Company was established in the year 1877. With the passage of time the company came out with improved version of different phones with better voice clarity and functionality. One more invention of Graham Bell was that of metal detector in 1881. At that time the Bell Company was able to produce metal detectors in its crude version. Although they were not as elegant as they are today yet they worked perfectly. Such was the remarkabelity of the metal detectors at that time that they were able to detect a bullet lodged inside the body, when it was tested, it worked out perfectly. But when the then metal detector was physically used to detect the bullet lodged inside the body of U.S. president James Garfield it failed to detect. There are various versions available for its failure to detect the bullet. One of the reasons available could be President body was lay on the bed with a metal frame, which could have bewildered the frame. One more invention of Graham Bell which needs special mention is that of hydrofoils. Earlier two specialists namely William E. Meacham and Italian inventor Enrico Forlanin were regarded as the pioneers of hydrofoils. Graham along with his assistant Frederick W. Casey Baldwin contributed a lot in the field of hydrofoils. Alexander Graham Bell was also credited with 18 patents solely in his name and 12 other patents were shared. The list included 14 telephone patents and telegraph along with four Photophone one for Phonograph, four for hydro airplanes, five for the aerial vehicles and two for Selenium Cells. Other inventions to his credit included audiometer in detecting minor hearing problems, one more device to locate icebergs and other work pertaining to alternative fuels. Most of his work was about exploring solutions for deafness. 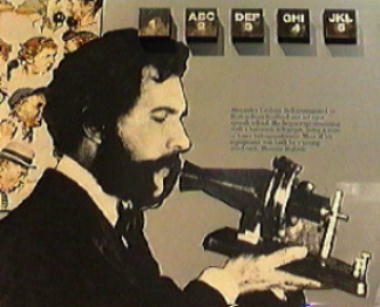 Graham Bell died because of complications caused due to diabetes on August 2, 1922.